The average salary for a computer programmer in Washington is around $49,000 per year. This is 22% below the national average. ● Updated in 2017. Computer programmers earn an average yearly salary of $49,000. Wages typically start from $10,400 and go up to $96,800. How much does a computer programmer make in Washington? How much does a Computer Programmer earn? Since computer programming can be done from anywhere in the world, companies often hire programmers in countries where wages are lower. 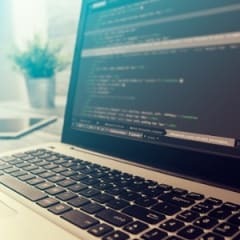 This ongoing trend is projected to limit growth for computer programmers in the United States, and employment is projected to decline by eight percent from 2014 to 2024 according to the BLS. However, there are high costs associated with managing projects given to overseas programmers, and these costs can offset the savings from the lower wages, causing some companies to bring back or keep programming jobs in the United States. A computer programmer's work varies greatly, and so do typical starting salaries. PayScale.com reported that entry-level computer programmers earned a median wage of $51,174 in September 2015. How do computer programmer salaries compare to similar careers? Computer programmers earn 13% less than similar careers in Washington. On average, they make less than data analysts but more than social media managers.